Today Rogers Wireless advised its dealers and re-sellers (Rogers Wireless, Rogers Plus, Wirelesswave, Future Shop, Best Buy, etc) to upgrade their store computers versions of iTunes to version 8.1 version 8.2 (as of June 4, 2009). Very important that you upgrade to iTunes version 8.1 8.2 immediately to ensure that you are ready for the upcoming release of the iPhone OS 3.0 software. Currently, most Rogers dealers were running iTunes 8.0. Rogers typically issues these bulletins a few days ahead of when they will absolutely be needed so to give their dealers and re-sellers time to implement the change. This means that in a few weeks, all new Rogers iPhone hardware will be running the 3.0 software! But this may also indicate that there is a change in Rogers iPhone Value packs on the horizon. 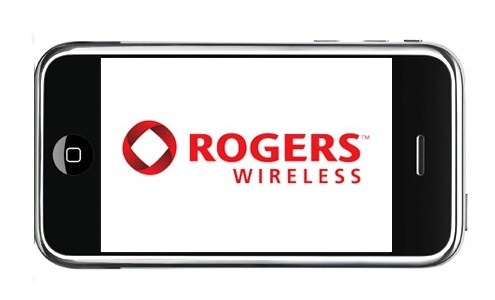 With the inclusion of MMS in the 3.0 software, Rogers may be changing their currently offered iPhone 3G Value Packs, of which two run for $15, one runs for $20, and one for $35, to include MMS. These value packs currently include 2500 text messages ($15 versions) and unlimited text messages ($20 and $35 versions). As we all know, the current iPhone software, 2.2.1, cannot send MMS, so this will be a welcomed addition. However, because this is Rogers we’re talking about, would the inclusion of MMS increase the price of these value packs or keep them the same? Or maybe they will be cheaper due to our recent difficult economic times? I am hoping that MMS gets added to all of these value packs and that the price stays the same! But Rogers is known to raise prices more often than freezing them or reducing them. $20 Off + 20% off Podium iPhone 3G Stands!